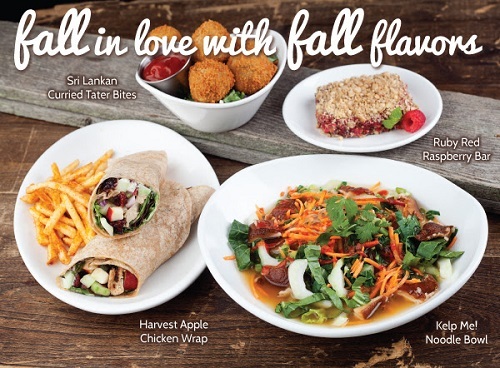 Native Foods unveiled their new fall menu for 2015 recently, which, as shown above, includes a new Harvest Apple Chicken Wrap, a Kelp Me Noodle Bowl, Sri Lankan Curried Tater Bites, a Ruby Red Raspberry Bar, and Apple Cinnamon Chai'der. To me, these dishes don't scream "autumn" at all, but I decided to give some of them a try anyway. 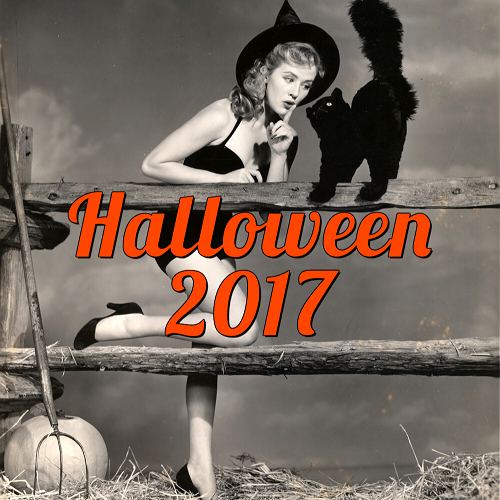 October is going to be a busy month as a whole heap of horror movies are being released or are already in theaters/on video on demand! I mentioned a few of these in a post I did at the beginning of the year (read it here), but since then I've learned of even more horror movies I'm looking forward to, and the bulk of them are coming out this autumn season! Check out the 10 horror films that you need to check out this autumn below! 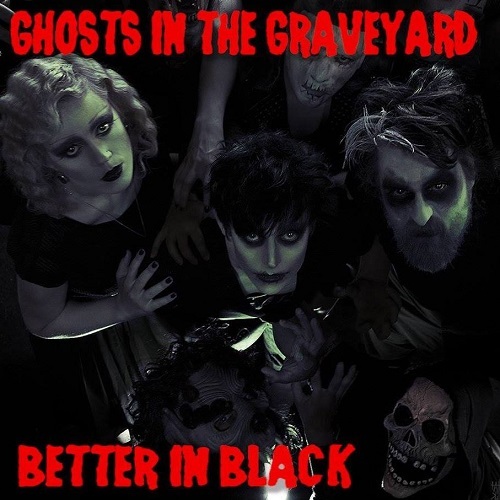 A new band that has recently caught my attention is Ghosts in the Graveyard, who mix goth, shock rock and electronic musical styles to come up with a grand, cinematic style all their own! The band was founded by vocalist Byron C. Miller and is rounded out by his wife Shelly Miller on vocals/keyboard and Paul Morgan on guitar. They are inspired by all things spooky, musical acts like Alice Cooper and Depeche Mode, John Carpenter's movie soundtracks, Halloween, and, of course, horror movies (which Byron has directed a few of)! In an interview with Famous Monsters, Byron explains "I wanted this band to be cinematic, haunting, rocking, and meaningful." While Paul describes their sound as "epic, electronic-tinged rock perfect for driving through Michael Mann’s vision of 1980s LA at night with a trunk full of dead bodies." And then Shelly Miller chimes in, "At the end of the day, this is a fun band that really captures that Halloween feeling we all have inside. We all have that, right?" I couldn't have described them better than that! Earlier this year at Expo West, I remember trying Gardein's new Mini Crispy Crabless Cakes and thinking that I couldn't wait for them to be available in stores! Well, I after many months of dreaming about them, I finally found them for sale at Fresh and Easy! I remember their texture and flavor being really great, so I couldn't wait to make them at home to see if they were as good as I remember them tasting. I found Laughing Giraffe Organics' Pumpkin Spice Snakaroons in my local Sprouts' grocery store (check out my other pumpkin finds HERE! ), along with the rest of their pumpkin products. This was a new item for me, and I was super excited to try it! The Snakaroons are macraoons, and they are delightful mounds of coconut and pumpkin spicy goodness! They are also vegan, raw, gluten-free, non-GMO, and certified organic. The Snakaroons are made with simple, natural ingredients, with no preservatives added. Their nutrient-rich and power-packed ingredients include coconut, pumpkin puree and seeds, vanilla extract, coconut oil, lemon juice, and spices. Everybody Dies at ScaryCon is the story of Ed Stryker, a horror director who made a huge splash in the independent film renaissance of the early 90's with his grungy, black and white, zero budget movie, Machete Betty. Now, Ed is a shell of the man who dreamed of entertaining the world through his films. The passion is gone and the flame's died down. 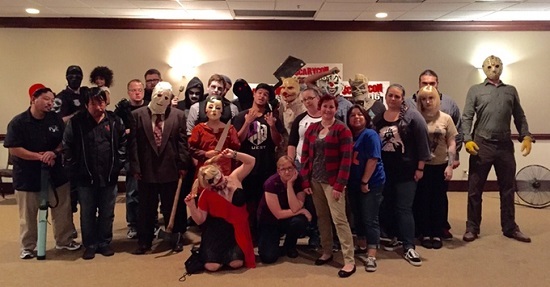 Even though the quality of his films deteriorate with each release, he still finds loyal fans eager to meet him at the annual horror convention, ScaryCon. But this year will definitely be his last. After a long night in the hotel bar, Ed discovers that the patrons sitting next to him are no longer the typical convention fanboys and cosplayers. They're the blood-thirsty monsters from his movies. They're alive. They have their customary machetes and chainsaws. And they're pissed. Halloween 2015 at Target has begun! Jamba Juice announced three new smoothies - Pumpkin (squeeeeeee!! ), Matcha Green Tea (yum!) and Peanut Butter and Berries (ooooooh!). Of course, the one I am most excited about is their Pumpkin Smoothie! 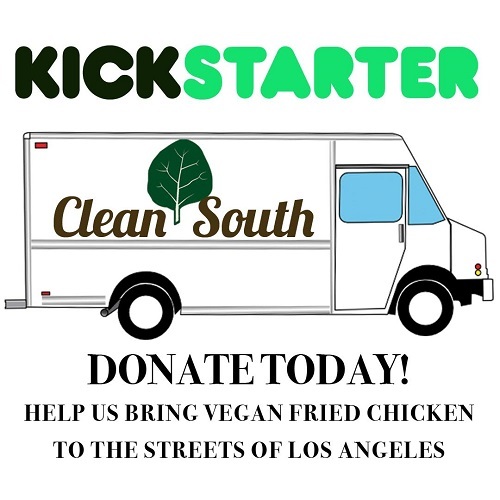 Husband and wife team Daniel Weisberg and Jessica Parker of Clean South need your help to fund their vegan Southern comfort food truck. Creative, convenient Southern comfort food like Grandma makes, minus the meat. Every meal feels like coming home again. 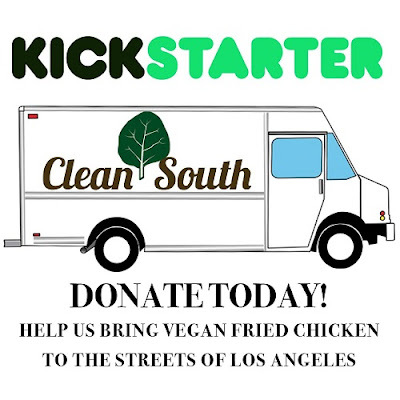 Clean South specializes in vegan high-protein meals that replicate the texture and sensory experience of eating meat-based Southern comfort food. With vegan versions of nostalgic dishes such as fried chicken, buffalo wings, and pulled pork, Clean South is committed to creating comfort food with a conscience. Taking inspiration from authentic Southern recipes and chefs such as Sean Brock, Clean South has created a menu with a commitment to the history and heritage of Southern food, adapting traditional meat prepping and cooking techniques to their seitan and soy-based proteins. When I saw a friend post about Cellar Door Bath Supply Co., I knew I had to check them out! 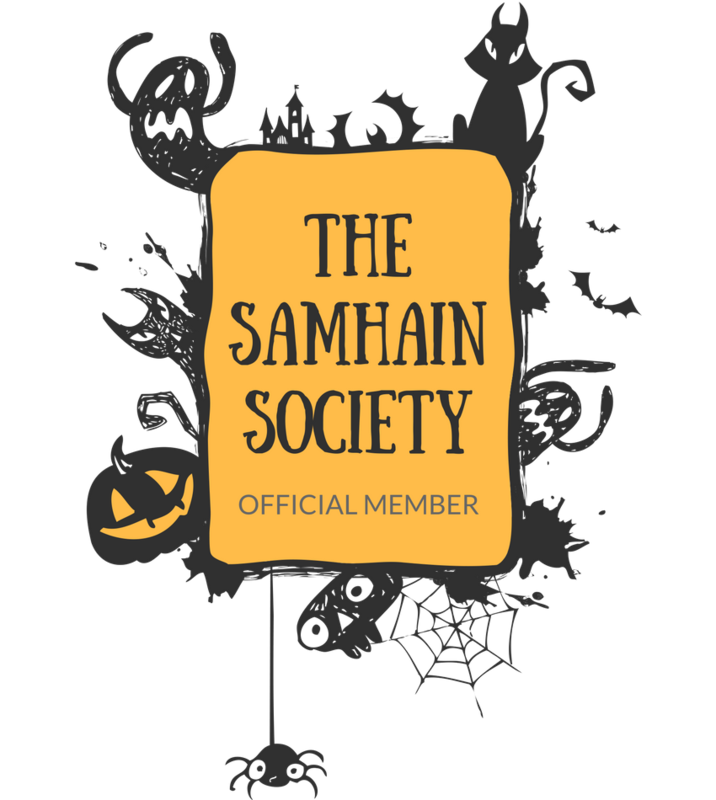 They make cruelty-free and vegan bath supplies like bath salts and soaks, candles, and soaps, complete with a full line of Halloween-inspired soaps! TPT Home is a home furnishings store located in the SOCO district of Costa Mesa, CA that stocks Halloween décor, tableware, artwork and more this time of year. They always have unique Halloween products, so I love visiting their store once they have all their seasonal items out. Those Dandies Pumpkin Marshmallows everyone has been salivating over and dreaming about (I've been looking forward to them ever since I first drooled over them way back in May!) are FINALLY HERE and available for purchase online!! You can now get your pumpkin-picking hands on these delightfully festive marshmallows to use them in fall-inspired recipes. I plan on using these mini marshmallows in hot cocoa (once it gets cool enough) and to make an extra-special batch of crispy cereal treats with them! They are also pretty awesome straight out of the bag (I can attest to this since they were nice enough to send me a few bags last month...full review of them coming soon!)! 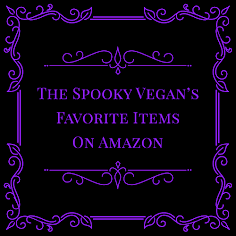 You can buy them online at Vegan Essentials and they will be on physical store shelves on October 1st! Dandies are vegan air puffed marshmallows, completely free of animal-based gelatin and any other animal products, and they are also gluten-free and kosher. Go get yours now, as I'm sure these will fly off the (virtual) shelves! World Market always has rad stuff for Halloween and gets it out relatively early, so when I visited a store over Labor Day weekend I was disappointed to find that there were no Halloween items yet on shelves! However, I visited again just yesterday and am happy to report that they are finally stocking Halloween products. I've been looking forward to Krampus for quite some time, and I'm pleased to say that the official trailer released today looks fantastic!! The film is directed and co-written by Michael Dougherty (who was behind fan-favorite Trick 'r Treat), and stars Adam Scott, Toni Collette, David Koechner, Allison Tolman, Conchata Ferrell, Emjay Anthony, Stefania Lavie Owen and Krista Stadler. 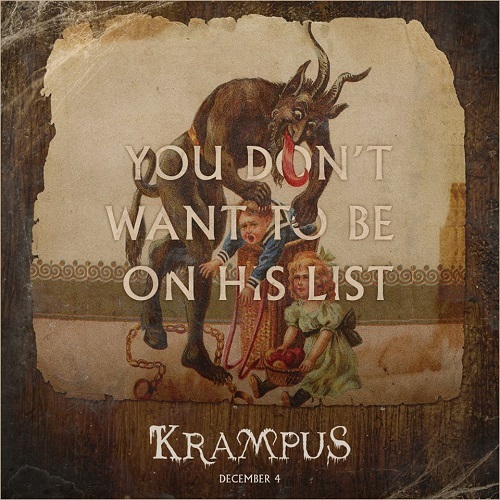 It looks like a fun, festive, and dark horror comedy that actually makes me look forward to the holiday season! Halloween 2015 at Roger's Gardens - "Something Wicked This Way Comes"
My Labor Day weekend tradition is to visit Roger's Gardens in Corona del Mar/Newport Beach for the opening of their annual Halloween display. Each year, they create gorgeous sets built around a specific theme. This year the theme was "Something Wicked This Way Comes" and the sets featured a circus/carnival look loosely based on the iconic Ray Bradbury novel. Each section was transformed into a distinct "tent" - there was a magician's tent, the side show tent, a medicine man tent, and a fortune teller tent. Cute lawn signs and wooden signs that were around $3 in the Dollar Spot section. I stopped into Target over the weekend, and was pleasantly surprised to see a few Halloween items in a few sections! Not much yet at the particular store I visited, but we all know how long Target takes to put the full glory of their Halloween goodies out (we are looking at mid- to late-September), so I was stoked to see just a few orange and black items popping up! Here are a few photos of the Halloween 2015 products I spotted so far at Target, which I consider a sneak peek of things to come! 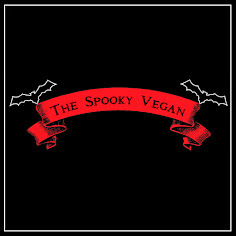 I discovered the coolest vegan and cruelty-free company at Vegan Faire this past July called SoapyLayne. Their witchy signage first caught my eye, and when I investigated I found that they had some lovely perfumes and other body, bath, and makeup products. By the time I checked out their booth at Vegan Faire I had spent the majority of my cash on food, but I still had enough money to pick up two scents that I was swooning over, a solid perfume called Moonlight Butterfly and a roll-on perfume oil by the name of The Woods.